Five year business plans? More like 500 year business plans! Good customer service combined with a deep knowledge of your buyer’s tools, behaviors, and complaints can help your business rise above the competition and win the race for year after year (after year after year after year…). Encourage playful interactions with your customers to create an experience that makes them feel comfortable about your product/service. How moving past the hottest trends of today leads to a marketing plan that outlasts the rest. Why customer complaints can be a godsend to turning your company’s detractors into an army of advocates. Welcome to Experience This! 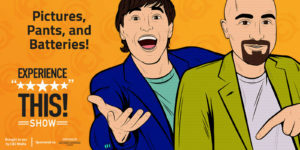 Where you'll find inspiring examples of customer experience, great stories of customer service and tips on how to make your customers love you even more. Always upbeat and definitely entertaining, customer retention expert Joey Coleman. And, social media expert Dan Gingiss serve as your host for a weekly dose of positive customer experience. Hold onto your headphones. It's time to Experience This! Get ready for another episode of the Experience This! Show. Join us as we discuss a modern-day rhapsody, building a business plan for the next century and the real reasons why customers complain. Queens, cymbals and complainers. Oh, my. Joey: Okay, Dan I want to do something for you here. I'm going to turn up the volume and see if it'll work. I've got my iPhone. Let's see how this goes. Siri, I see a little silhouetto of a man. Siri: Scaramouche, Scaramouche, will you do the Fandango? Thunderbolt and lightning, very, very frightening me. Galileo. Galileo. Galileo. Galileo. Galileo figaro magnifico. I'm just a poor assistant. Nobody loves me. It's just a poor assistant from a poor family. Spare it its life from this monstrosity. Easy come, easy go, will you let me go? Bismillah. No, we will not let you go. Let it go. Bismillah. We will not let you go. Let it go. Bismillah. We will not let you go. Let me go. Will not let you go. Let me go. Never, never let you go. Never let me go. Oh No, no, no, no, no, no, no. Joey: My favorite part is the, "No, no, no, no." I mean, how classic is that? Have you tried that before? Have you ever seen that? Dan: I have not. And Joey, I know you're a singer. She doesn't have much of a voice. Joey: I know you're a singer too, Dan. No, she doesn't have much of a voice, but I actually loved that she doesn't sing it that she speaks it for a couple reasons, because, hey, it's totally in alignment with Siri's brand number one. Number two, we finally get to know what the actual words of that song are. I think there's a lot of people that have no idea what the words are. Once we get into it, you're like, "Oh that's what they were saying all along." The reason I wanted to share this is I stumbled across this this morning and just did it myself just for giggles. My 19 month old [Challen 00:01:49] came running over, grabbed my phone, and started laughing. When it was done he handed it to me. He doesn't say a lot of words, but he was kind of doing an, "Eh, eh," and holding the phone to me until I did it again. We probably went through this four or five times and he absolutely loved it. Dan: Well, I have kids, too, and my son also ... actually both of my kids. My son and my daughter play with Siri all the time and ask her to do very strange things that only kids can imagine up, but one of my favorites is that my son told Siri to please start calling him the most awesome person in the world. Now every single time that he asks her a question or asks for anything, she responds with, "Most awesome person in the world." Dan: As the name, which is fantastic. Joey: I love it. I love it. One of the things I think is really cool about Siri and about these types of technologies, especially with the example we just did there, with the Queen song, is by hiding like playful, funny interactions in Easter eggs in your products and in your services. It makes people smile. It makes people actually use the device in a way that feels fun and engaging. I have to admit, I'm not a big Siri user. I've had an iPhone since the first generation iPhone. So, I've had Siri since Siri first came out. I had not used Siri and I don't know how long. Before this morning, I had heard about this randomly on Facebook and I decided to give it a try. Like I said, the result was definitely good for some laughs this morning. What I found really fascinating is this afternoon, I actually asked Siri a question. By kind of bringing me in, if you will, with something fun and playful, the technology convinced me to use it the way it was intended to, which is to be able to ask questions and get information. So, to me, it was kind of an interesting takeaway for product companies and service companies that if you can make engaging with your product or your service offering fun and playful and easy at the beginning, it will create an experience for your users or for your customers that makes them feel much more comfortable about using it going forward. Dan: Also, these little things create virility about your product or service. So, where did you find out about this song? Joey: On Facebook. Honestly, this probably showed up in my Facebook feed an easy 15 or 20 times over the last 48 hours, which is messages with people like grab your iPhone. 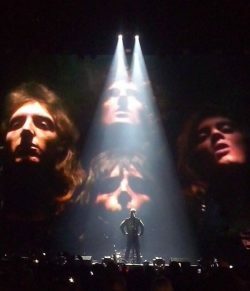 Say, "I see a little silhouetto of a man," and then thank me later. It was kind of like nobody wanted to give away the joke. I actually went searching. I found a YouTube video that is I think at the time four days old with just under 100,000 views of someone asking and doing this with Siri. It's one of those things where I don't know if this has been there all along and someone just found it. I don't know if this was part of a recent software update from Apple, but either way it definitely got me engaging and laughing, which are two great interactions to have with your customers. Dan: Well, it must be how the Android owners that were watching that, right? Because they couldn't do it themselves. Joey: That must've been it. All these people that haven't converted over like you and I and seen the light. We spend hours and hours nose deep in books. We believe that everything you read influences the experiences you create so we're happy to answer our favorite question: What are you reading? Dan: Joey, what is currently on your nightstand that you are reading these days? Joey: Well, Dan, as you know, I love a good book and I regularly have a bunch of books going at the same time and that feeds my desire to be in multiple places at once. But the book that I recently started reading by my buddy Ryan Holiday, his newest book is called Perennial Seller: The Art of Making and Marketing Work that Lasts, and what's interesting about Perennial Seller is I think everybody in the world of product design, and service design, and in business is trying to build long-term customers and build products or offerings that continue to sell well. Ryan takes it to a different level and what he talks about is companies that are a hundred years old, 200 years old, 400 years old. Given that we've spent a lot of this show talking about AI and technology and new cool things, I found myself feeling that there was interesting juxtaposition to Ryan's work in Perennial Seller in that what he talks about is addressing the human condition and human emotions and human needs that have been the same throughout history and how if you create a product or a service offering that's going to work well and really satisfy those needs, chances are better than not that you'll be able to continue to sell that product for a long time. It's got a really interesting case study about Fiskars scissors, which is hundreds of years old. He talks about Zildjian Cymbals which I think is over 400 years old now. These are companies that have been around for ages. Here in the United States, especially in a world where Wall Street dictates what have you done this quarter and that's really what everyone is focused on, this idea of creating something that stands the test of time and goes against the new shiny object technology feel and instead focuses on how can we build something that lasts I thought was a really interesting premise for a book. It's a fantastic story. I highly recommend you check it out. Dan: Yeah, it sounds fascinating. It is hard to imagine building a product and thinking about people using it hundreds of years from now, especially with technology today and how quickly things change. I'm not even sure that that's in the mindset of most R&D folks as they're creating the next big thing. What do you think? Joey: I would agree and not to make this judgmental of American businesses. For example, in Japan, they do 500 year business plans. I talk to most CEOs in the US and if you can get a three year business plan or strategy out of them, you're doing well. I agree with you. I think most people aren't thinking down the road that far and they get caught up in this conversation around, well, technology is going to change and the operating system is going to need to be upgraded, et cetera instead of really looking at how is your product or service connecting with your customer at a deep emotional level? What are their needs and how are you fulfilling those? Often it's less about the design of the product or the features and functionalities it has. Instead, it's about the benefits that it's going to give them. If you really focus on honing in on those type of conversations, I think it's a lot easier to create a perennial seller. There are so many great customer experience articles to read but who has the time? We summarize them and offer clear takeaways you can implement starting tomorrow. Enjoy this segment of C-Express where we review articles so you don't need to. Joey: Today's CX Press comes from Rieva Lesonsky of Nextiva. Nextiva is a company that sells cloud based telephone systems for small businesses. And, in the interest of full disclosure, because that's how we do things here on Experience This!, I'm actually super excited to be giving a closing keynote address for them at their next con event in Scottsdale. Dan: Well, also in full disclosure, I had Nextiva on my previous podcast focused on customer service and they shared with me that they do personalized video responses to their B2B customers on social media which I thought was amazing. Dan: Yeah, pretty cool company. Anyway, in this article that Rieva wrote, she cited a recent study that showed that, shocker, poor customer service is the top cause of customer complaints. Dan: Followed by product problems and then policy issues. Joey: Well, what's interesting about this article is they go on to talk about within customer service, the things people complain about and those are things like rude customer service reps, poor service at the store, uninformed customer service reps and slow service when you're trying to check out. Dan: I think what's interesting here, Joey, is when people are complaining about customer service, generally what's happening is they're causing a second customer service experience which is causing your company money because they had one customer service experience that failed them and now they're back. Dan: Right. The same study examined what motivates people to share their negative experiences on social media which you know is something that's near and dear to my heart. What it found is that 73% share it because they actually hope to save someone else from having that same bad experience. What do you think about that? Joey: Looking out for their friends. Hey, I will tell you about the terrible experience I had so that hopefully no one else will have the same terrible experience. Dan: Very selfless of people, very selfless. Joey: It is. It's nice. It's the social media way. Dan: Now, almost half, 48% are not as selfless. They're actually looking to get a refund on the experience. Joey: Nothing wrong with that. Nothing wrong with that. Get your money back. Dan: About 40% want the company to change its policy so they're advocacy here. They're trying to make change in the world and another 39% want to receive an apology. Joey: It's so simple. Sometimes the apology really solves the problem and yet so many companies throw around apologies as if they were throwing around manhole covers. They just don't want to give an apology. It's like be a human being. Just apologize. It's fine. Joey: What I thought was interesting about the article ... Go ahead, Dan. Dan: Well, I think if you back up a second and you say that 73% of the people are trying to save someone else from having a bad experience, the problem there is that they're not necessarily looking for resolution. What's interesting to me about that and why that number is so big is it basically means that what a company has to do is go back and fix the initial experience in order to prevent that many people from coming on and trying to be selfless and share their bad experience on social media. Sometimes we get stuck in, oh, somebody complained to us on social media. We better respond to that person and that is a good thing to do. But what we forget is if lots of people are complaining about the same thing, the better thing to do is go figure out what the heck is causing those complaints and to get rid of that so that your number of complaints actually goes down. Joey: Absolutely. I think it's so interesting because in the typical business my personal belief is if a customer complains about something, you owe it to that customer to do a really honest look and examination of what they're complaining about and see if they have a legitimate complaint. If they do, fix it. Make it better. Speaking of making it better, Nextiva in the article talks about four different ways you can make the customer experience better and the first one is avoid or eliminate the frustrating experience of a long hold time. We've talked about this in other episodes. You can make your hold music interesting. You can have more agents. The one that I got to say drives me crazy, how many times have you had this experience, Dan? Your call is very important to us but we're experiencing unusually long hold times right now. Please stay on the line and a representative will be with you as soon as possible. That recording is always on. Always on. Not unusually. You could call anytime day or night, morning, afternoon, evening, weekends, holidays. You get that same message. Folks, you're not fooling anyone. You're certainly not fooling your customers. Do a better job. Dan: Totally agree and to that end, the article also suggests that you got to give your customers options for connecting with you. I mean we know that millennials don't want to pick up the phone. A 1-800 number cannot be the only customer service channel for your company anymore. We also know that boomers tend to prefer the phone and so you still do have to have a phone number but you've got to have options for people to communicate with you because your customers are different people. They're maybe in a different place when they have to contact you. If they're only on a mobile device, you've got to be mobile friendly. Give them lots of ways to contact you and don't be afraid of them contacting you because them contacting you is a heck of a lot better than them walking away from your business. Joey: Totally. Along the same lines, the Nextiva articles talks about making sure customers can always reach you. Now, I got to admit I'm not a big believer that you need to be available 24/7. Some businesses do but not every business. But what you do need to make sure is that there is some way for them to communicate with you 24/7. You may not have to have someone answering the phone but at least have a voice mail message that clearly states what your hours are and then call them back first thing the next day. Or even better, on the message say, "I know we're not here right now but let us know the best time to call you back and we'll call at a time that's convenient to you." Make it applicable to your business but make sure the customers have ways to reach you when it's convenient to them. Dan: I think this is a case by case based on the industry. For a small business or B2B, you're absolutely right that it's okay to have hours that you're not available. If you're an international airline, it's not okay for you to have hours that you're not available because if somebody is stuck in an airport at 2:00 in the morning German time, they're going to have to talk to you right then and get something resolved. It depends on what your business is and it depends on when your customers need you. You're totally right about setting expectations. On social media, on your voice mail system, on your website, tell people when you're available. And when you set those expectations, people are usually okay with it but make sure that you're available at times that makes sense to your customers. I've seen cases before where, oh, our call center is on the West Coast so we're going to have hours based on the West Coast. Well, okay. If I'm on the East Coast and now you're closing at 3:00 in the afternoon, that's not really convenient for me. I get that it's convenient for you, but as the customer, you're not really delivering for me. Keep in mind your customers' needs and know that you don't have to be 24/7 if you're a small business or if you're in a business that closes like a restaurant, for example. But, if you are in a business that operates all the time or operates internationally, it then does become critical. Joey: Totally agree. Totally agree. I think the thing is as your business grows, you need to scale up your ability to communicate with your customers and for them to communicate with you so whether that's using a cloud based communication system like Nextiva offers or having a website that clearly states what your hours are or having people representing your call center, if you will, or answering your phone stationed strategically around the globe. You need to scale as you go with your business. Just out of curiosity, Dan, what do you think about this idea that customer complaints are a good thing? Dan: I completely subscribe to this and it's one of the reasons I really liked this article. Companies are often too afraid of complaints but complaints can be a good thing because they tell you what's going on with your company. Don't you want to know if your product or service isn't functioning the way you think it should be? Don't you want to know if you're disappointing your customers? Because if you hope to grow your business, you're going to need to fix that stuff. It's important to solve individual problems when somebody calls you or when somebody tweets at you but make sure that you look for that underlying issue so that you can resolve that, too, and that will be a cost saver for you because if the phone is ringing less, if the tweets are coming in less often, then your customer service expenses go down as well. I think the other thing to keep in mind is that people who are telling you that something is wrong about their business, they're actually telling you because they care. They care enough about your business that they want to see it fixed. If they didn't care, they would just pick up and go to your competitor who's offering a better service that doesn't break or that doesn't frustrate them. But they do care which is why they're calling to complain. If there's one of those people that are looking for a refund or some sort of a make good, they're still looking to stay with you and to continue giving you business which is why it is really important to treat them with the kid gloves and to make sure that they're valued and to accept their complaints and try to fix them. Joey: I totally agree. If a customer is going to go out of their way to complain, I think you should see that as the most wonderful gift they can give you because, let's be honest, if they're just telling you, "You're amazing. You're awesome." And those are the only customers you're listening to, you're actually not going to be able to improve. I think the big takeaway from this article is go to your business tomorrow and say, "What are the ... " Ask your employees. When in doubt, ask the frontline employees. 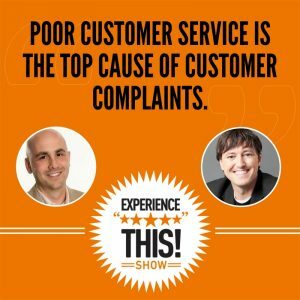 Ask the people that deal with the customers the most and say, "If you had to tell me the top three things our customers complain about, what would they be?" I had never been or work with a company in my entire history working in customer experience where I didn't ask that question and immediately there were half a dozen things minimum on the list, if not more. Look at those with a very objective and honest eye and say, "Is the customer right?" Presuming that they are, what can we do to eliminate this complaint from ever happening again? I promise if you do that, the change will be transformational for the experience your customers have as well as what your employees think of you because they're able to say, "Wow, management really listened to me this time. They made some changes." If you make their lives easier, that makes for happier employees as well. Dan: One thing I would add to that is that one of the best ways to improve your customer experience is to eliminate bad parts of it. You might be sitting there saying, "Well, I don't know how to make my experience remarkable or differentiated." One of the best ways to improve it is just to get rid of the problems. Every business has problems and your customers are more than happy to tell you about them. All you have to do is listen and respond. That's why customers complain because they want action from you. When you deliver it, you actually turn detractors into advocates who are willing to talk positively about your company. Dan: Okay, Joey. There are actually two numbers this week: 97% and 87%. What do you think they refer to? Joey: I'm thinking it refers to the fact that there's a 97% likelihood that on any given day there's something I would like to watch on TV after dinner and an 87% likelihood that given that I have a four year old and a two year old that will end up watching something else because my choice is probably not age appropriate. Dan: Well, you're very, very close this time. But actually it's that 97% of executives believe that delivering great customer experience is critical to success and yet 87% of customers believe brands could still deliver a more consistent experience. Now this comes from our friends at Oracle CX Cloud. Thanks, guys, for sponsoring our show. We really appreciate it. Dan: And their eBook Digital Transformation Three Areas of Customer Experience to Invest in Right Now. Joey: This statistic is absolutely brilliant and I think it's so indicative of the typical business on the planet today. More and more businesses are recognizing that delivering great customer experiences is really critical to their success and yet more and more customers are saying, "Hey, you're not there yet. You're not getting it done." The good news is the tides are shifting. People running businesses are recognizing that great customer experience is important. Bad news is customers aren't getting the message and aren't having that experience. I think the big takeaway here is, yes, it's important to recognize the critical nature of customer experience. But, if you're not really doubling down and checking in with your customers regularly to make sure that the things you're doing to enhance the experience that they actually see them as enhancements, if you're not doing that, you're just tilting at windmills, spinning in the wind, not getting it done. Dan: It sounds like that the first step is to acknowledge you have a problem which has already been done. Then the next step is to actually check in with your customers on how to fix it. Go to oracle.com/connectedcx to download this eBook and you do not have to give them any information to get the eBook for free. But if you give them your email, you can also pick up two additional customer experience reports. Thanks again to our friends at Oracle CX Cloud for sponsoring the Experience This! Show. Wow. Thanks for joining us for another episode of Experience This! We know there are tons of podcasts to listen to, magazines and books to read, reality TV to watch. We don't take for granted that you've decided to spend some quality time listening to the two of us. We hope you enjoyed our discussions. And, if you do, we'd love to hear about it. Come on over to experiencethisshow.com and let us know what segments you enjoyed, what new segments you'd like to hear. This show is all about experience and we want you to be part of the Experience This! Show. Thanks again for your time and we'll see you next week for more Experience This!